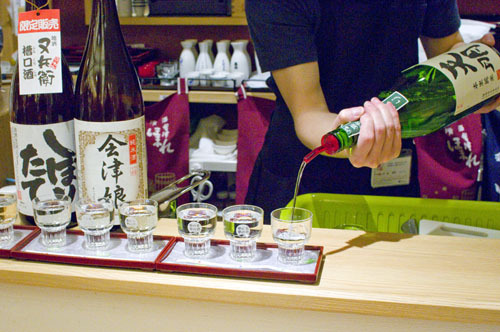 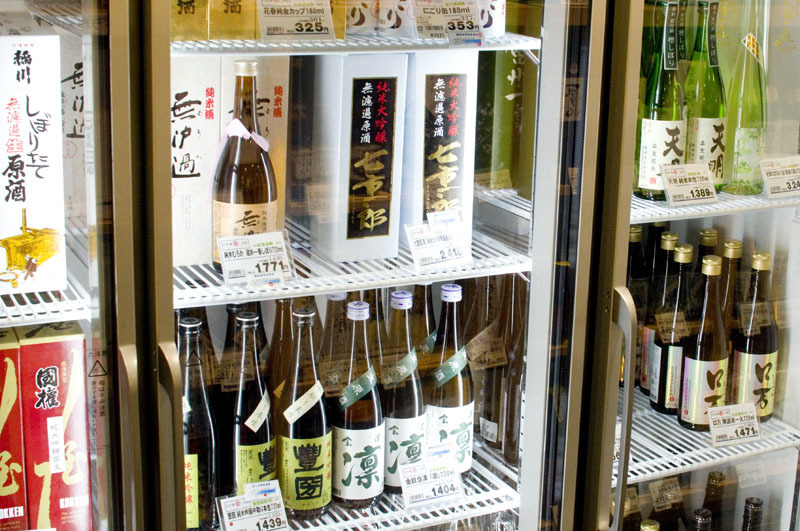 Near the tasting counter is a well-stocked sake retail area, with more than 100 sake by the bottle, many of them otherwise hard to find in Tokyo. 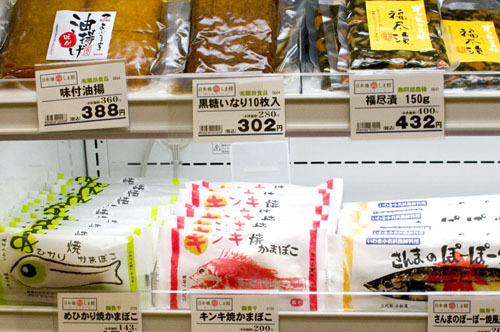 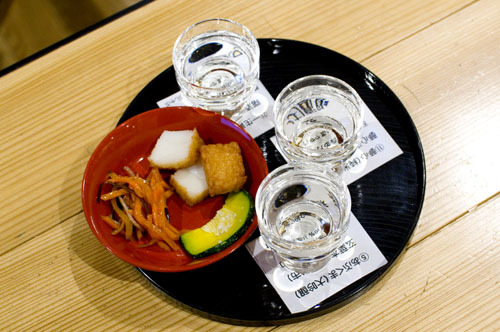 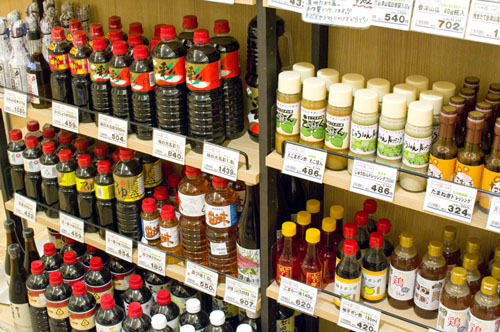 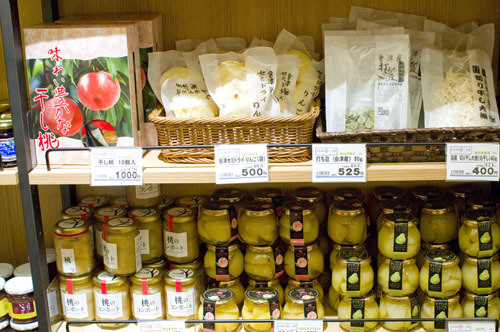 There's also a good assortment of food - fresh produce; fruit jams and preserves; many types of miso and soy sauce; soba, udon and rice noodles; twelve kinds of packaged curry; kamaboko fish cakes; pickles and ice cream. 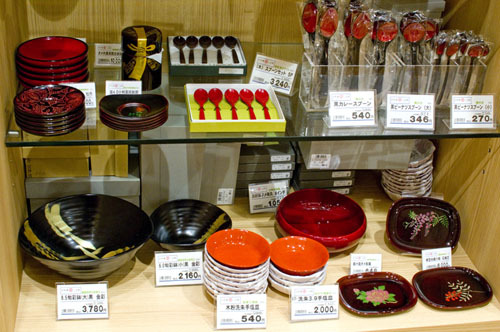 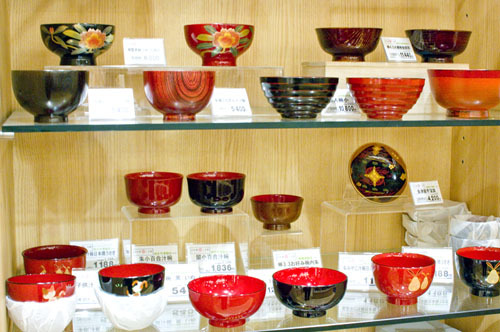 The crafts area of the shop handles tableware, glassware, wooden dolls and other decorative items.